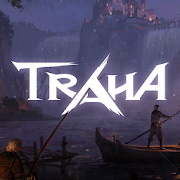 TRATHA is Nexon's another MMORPG for mobile devices. Using Unreal Engine 4, TRATHA has quality graphics and experience that is on a par with any PC game. • No pre-set quests: Players can construct their own story in TRATHA's open world!